Within SoilCare, the aim is to identify, select and assess different soil-improving cropping systems (CS) in Europe to determine their effects on soil quality, environment, crop yield, profitability and sustainability using a range of advanced methodologies and assessment procedures, core elements being a soil quality evaluation and analysis at the farm level (costs and benefits) and surrounding environments (ecosystem services). As different conditions require the use of different cropping systems, and the applicability, profitability and environmental impacts of the different systems and techniques will vary across Europe, SoilCare is working in 16 different Study Sites covering different pedo-climatic, socio-economic and political conditions. Within the Study Sites, different soil-improving CS will be selected, tested and evaluated in collaboration with stakeholders, after which Study Site results will be upscaled to European level. 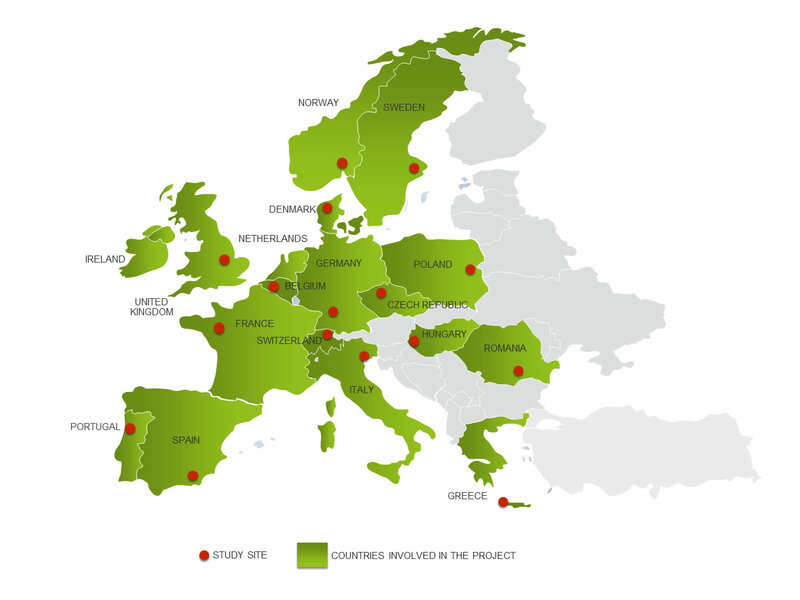 The table below gives an overview of the SoilCare project Study Sites in the partner countries.